Men have been trying to know about the mysterious universe from the ancient times. The unlimited sky with its innumerable stars, planets and many other celestial bodies is always a great wonder to us. History says that the people of ancient Greece were the pioneers in the field of Astronomy and the Greek civilization is rightly called the cradle of Astronomy. But they could only use their logic and imagination about the vast universe. However, their thoughts and imaginations were not confined only to themselves. They also influenced the people of this subcontinent. A revolutionary change took place in this sphere when telescope was invented and transport facilities were improved during the Renaissance. Men then began to think about the space in a different way and since then Astronomy has been considered a part of science. Many scientists and philosophers like Galileo Galilee, Johannes Kepler, Nicholas Copernicus introduced Astronomy to general people. Newton`s law of universal gravitation has resolved many mysteries of the space. But it is a fact that science does not have a final word. Our ideas are constantly changing with the addition of newer knowledge in this field. The steps required to work in a scientific field are first to investigate a phenomenon, then to analyze the finding and finally to reach a conclusion. Our country is lagging far behind the developed countries in the sphere of science and technology and so is our peoples` awareness. We want to work in a scientific way so that we can make them know about our universe successfully. 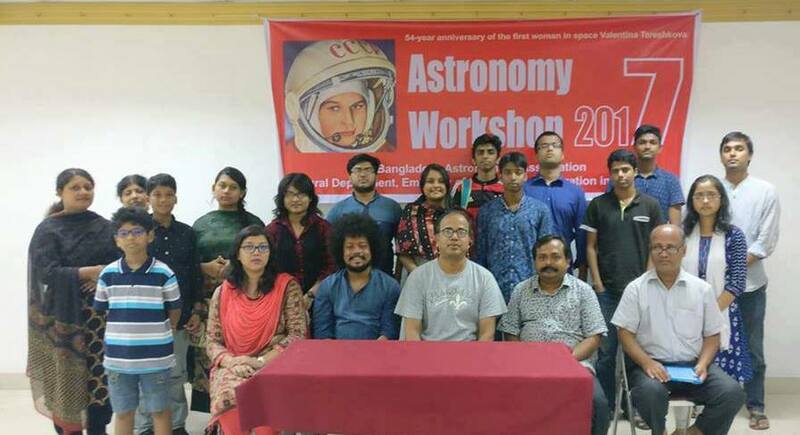 Bangladesh Astronomical Association is a collection of young amateur who are very dedicated in this field and perform several activities concerning research area and popularization of astronomy and space science through out the country. Banngladesh Astronomical Association publish magazine, journal, books and monthly observation bulletin on astronomy. 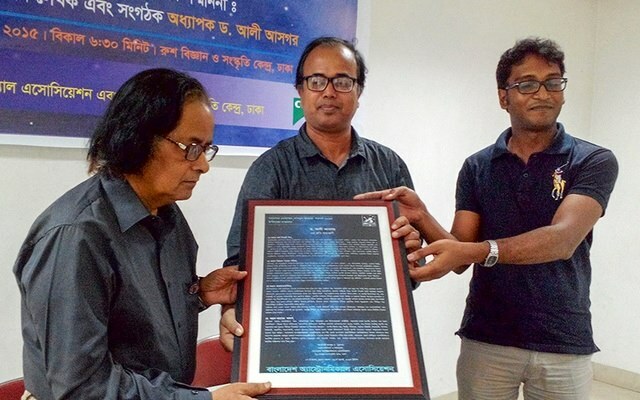 "Mohakash Barta" the first bi-monthly magazine on space astronomy and space science in Bangla. Bangladesh Astronomical Association (BAA) organizes sun festival (SunFest) every year started from the year 2000. BAA used to watch the first sun rise of the english year from different point of Bangladesh.We organize this festival in a beautiful place. 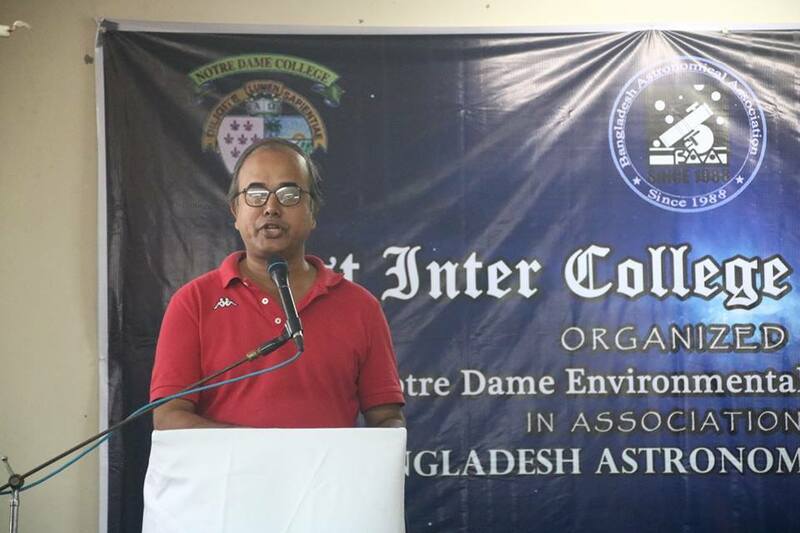 Bangladesh Astronomical Association is organising 5th Bangladesh Astro-Olympiad from February 19 - March 19, 2010. Any person between age 14-19 can participant this national event. Currently we are organizing 10th Astro-Olympiad.